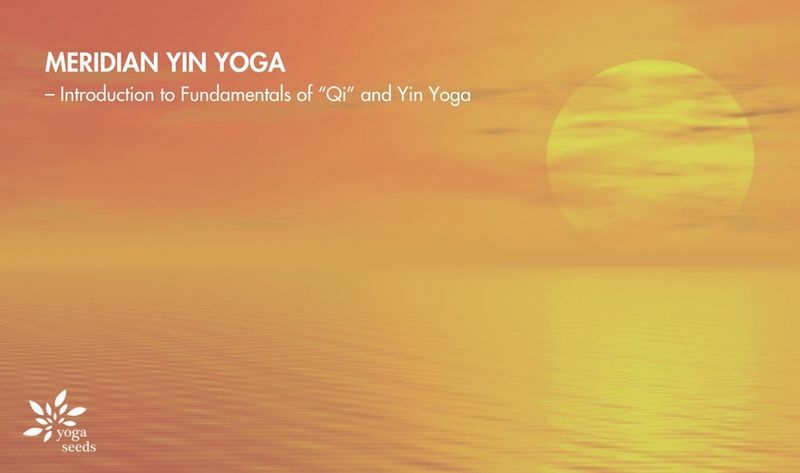 Meridian Yin Yoga – Introduction to Fundamentals of “Qi"
“The smooth, balanced flow of chi (qi)—your life force energy—is the single most important determinant to your health, vitality and happiness.” - Bruce Frantzis, Chi Master & Author of The Chi Revolution. It’s amazing that despite the stark contrast in culture and background, both yoga studies and Chinese medicine studies advocate the stimulation of this ‘prana’ or ‘qi’. Imagine there are super highways in your body that allow the steady and natural flow of this energy that empowers your entire well-being. It is essential to keep these pathways clear and unobstructed as blockages will eventually manifest as physical problems and disease. Benefit from the unique practice of Meridian Yin Yoga which focuses on freeing up major meridian pathways and vitalizing the flow of your ‘Qi’. Experience the soothing after-effects yourself and gain some home practice tips to begin your journey to optimal health. Mats are provided. For enquiries, email recharge@yogaseeds.com.sg or WhatsApp/SMS (65) 8322 1251. The programme and event arrangements are subjected to change. Click here to view full terms & conditions. Like us & stay updated to all event updates via Facebook. - Please come at least 15 minutes before class for registration. - Please be dressed comfortably in attire that allows for stretching and movement. For all other enquiries, email recharge@yogaseeds.com.sg or SMS/Whatsapp (65) 8322 1251. To receive more event updates from Yoga Seeds, sign up on our mailing list.